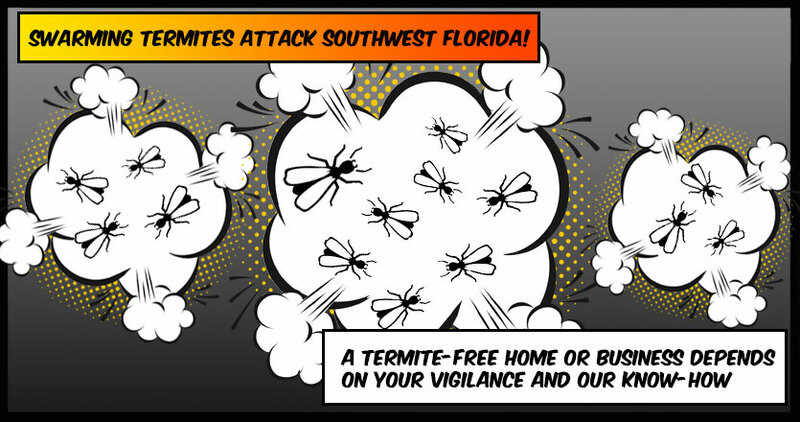 During this time of the year we receive many calls from SouthWest Florida residents reporting swarms of flying insects in their home. Often, these insects are identified as flying ants. However, if you notice swarming, flying insects in and around your Florida home this time of the year, there is a good chance you have a subterranean termite problem. As we settle into our winter season and the nights take on a bit of chill, the human residents in and around Naples switch off their air conditioning, pull those not so used blankets out of the closet, and enjoy the rare cold snap with a cup of something hot. Did you know that same cold snap that makes us want to get cozy on the couch inspires action in subterranean termites? You will often see them swarming after such cold snaps, when the rains come and the temperature rises. Termites found here in Naples and Fort Myers tend to be the eastern subterranean termite (Reticulitermes flavipes), which is the most common and responsible for the most termite damage caused in the United States. They are organized, and focused in their task of acquiring food (wood from your house) and sharing it with their fellow workers, soldiers, reproductive’s and Queen of the colony. Worker Termites – Like the name implies, these guys do all the heavy lifting. Well, in this case, the heavy eating. They are wingless, and, along with eating the wood in your house, they also care for the young. Because they are sterile, they cannot produce offspring. Soldier Termites – Soldier termites defend the colony from enemies (other ants and pests). They are wingless, and rely on the worker termites to provide food. Reproductive Termites – These termites have two pairs of wings, antennae, and are black in color. They are often mistaken for flying ants. When you see a termite swarm in or around your home, you are witnessing reproducing termites during mating season. After mating they lose their wings and sneak back inside the walls of your home, or between book covers to silently do their damage. Most hatched termites will become worker termites, but can molt into a soldier or a nymph. Molting into a soldier requires a few stages, but once complete the termite will be a soldier for the remainder of its lifespan. If a termite molts into a nymph it can continue on the path to become an alate, essentially a winged adult termite. Nymphs have the ability to revert back to the soldier stage. A healthy colony can range between 20,000 to a million workers, with the queen laying up to 10,000 eggs per year. They have a never-ending appetite for destruction, feeding on cellulose, such as the wood in your home. While they make a meal of the walls, joists, trim and sill of your home they also snack on the pages of your books, boxes, and any other cellulose containing products in your home such as cotton. They may be terrors inside your home, but termites actually play a very important role outside. Within forests, termites remove dead organic matter, helping that environment thrive. Termites are the most destructive wood-boring insect in the U. S. per the National Pest Management Association. Their endless hunger causes more than 2.2 billion dollars annually in the United States, and they can cause that damage silently. This is why it’s so important to be on the lookout for a termite swarm, because it’s one of the first signs to let you know you have a problem that needs attention. 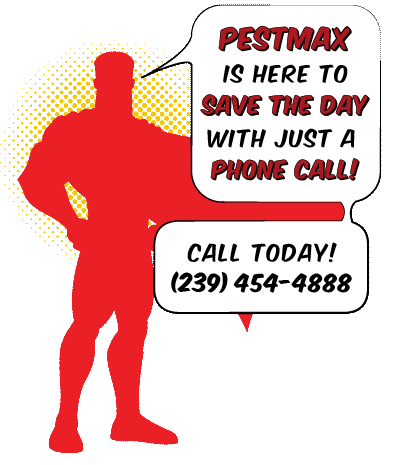 If you have witnessed the termite mating swarm and are looking for a termite control service in Naples, Fort Myers, and the surrounding areas we encourage you to give us a call. Our team has the experience and knowledge to perform a variety of treatments and services to eliminate or reduce the risk of termites inside your home or business.